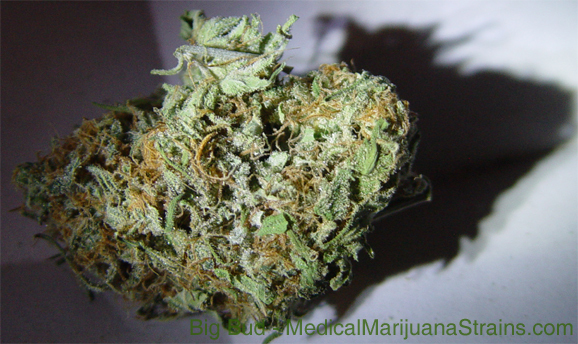 Looks: Very big, light green, fairly frosty buds, with very fine light orange frosted hairs. Smell: This bud is really dank smelling, almost musty; it also has some sweet undertones, and occasionally a bit of sour wafts by. Taste: Sweet with a strong flavor of grapes. Effects: Fairly mellow onset, not a very strong buzz with regards to ‘feeling it hit you.’ It does, though, seem to be an effective bud. 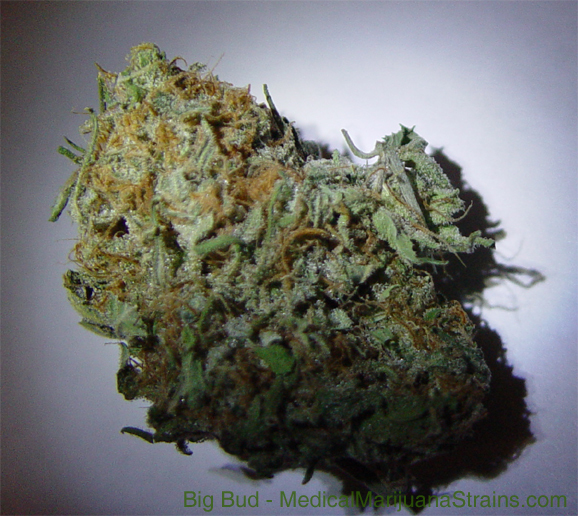 The up-side of this bud, is that it alleviates my symptoms considerably. The down-side is that the high is a bit forgetful and distracted. While this is only a bit couch-lock-ish, I don’t know if I would use this as a daytime smoke, due to the mental state of the high. Tactile sensations do seem to be increased. Notes: This was a fairly well rounded buzz medically. It helps considerably with my stomach pains and nausea; and if smoked it makes for a pretty good sedative at night as well.